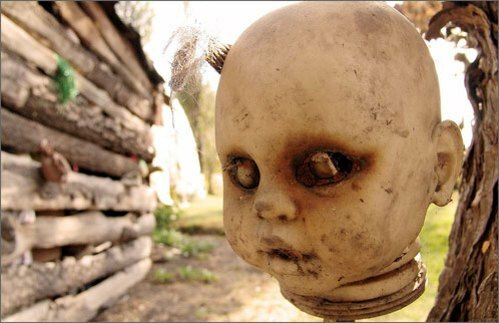 This island today is known as “La Isla de la Munecas”—The Island of the Dolls. This ghost story has one of the strangest reactions to a haunting I have ever heard. In the 1950s a man by the name of Don Julian Santana Barrera came to live on a small island on Teshuilo Lake just 18 miles west of Mexico City. This island is located in Mexico’s ancient Xochimilco district. Santana a hermit at heart left his wife and family and choose this area for its isolation. Santana was unaware of the island's dark history when he moved to these wetlands accessed via a network of intricate canals. Local legend states that in the 1920s, three young girls were playing on the island when one of them tragically fell into the murky waters of the canal and drowned. After this, the local residents came to believe this young girl’s spirit was trapped on the island. The area soon gained a reputation of being haunted. People refused to go near it at night. Julian Santana claimed that soon after he came to the island the spirit of this little girl began to talk to him. She told him how she had died and requested he get some dolls for her to play with. She said these dolls would also ward off evil spirits that wandered the wetlands. In order to please her, Santana started to acquire these dolls. He fished old dolls out of the dirty canal that ran past the island, he traveled back to more populated areas in order to raid garbage dumpsters for dolls and he even traded some of the fruits and vegetables he grew on the island for old dolls. For many years Sanatana was left to his hermit existence. But then in the 1990s Mexico invested over a million dollars to clean up the Xochimilco canals. This brought more water traffic past Santana’s island. Seeing over a thousand mutilated dolls hanging from every other tree on the island caused most of these outsiders to feel Santana was nutty. But as time passed most realized that he was just a harmless “odd” old man. 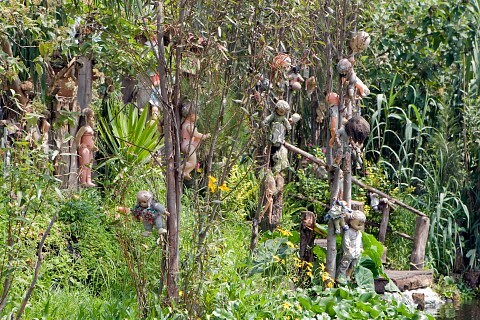 It was at this point the island was dubbed “The Island of the Dolls”. As for the multitude of dolls, Santana explained that no amount of these toys seemed to satisfy this young spirit’s thirst. In April of 2001, Santana expressed to his nephew it was becoming more difficult for him to resist the strange voices that beckoned to him. He felt these voices wanted him to join them in their watery grave. That same day his nephew returning from some errands found his uncle floating face down in the canal. His body was in the same spot near the small pier where the girl had drowned seventy years before. 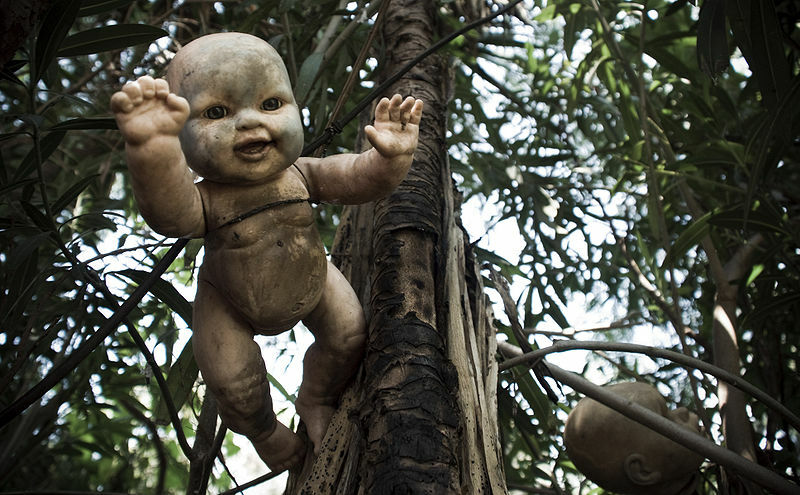 Today “The Island of the Dolls” is an eerie tourist destination. Visitors often state that these doll’s soulless eyes glare at them. 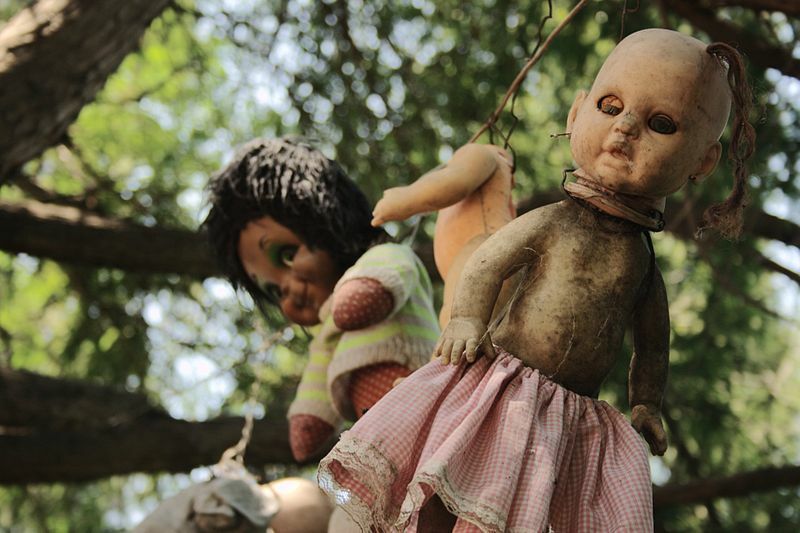 Others state they hear these dolls whisper to them especially after sundown. 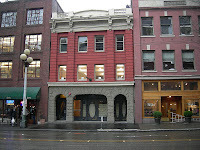 E. R. Butterworth was a furniture maker in Seattle, Washington in the early 1900s. At this time there were many deaths in Seattle because of fast spreading diseases and frequent mine accidents. Butterworth ended up making more coffins than furniture. By 1903 he realized that death was a booming industry. So he opened up Butterworth’s and Sons mortuary. His mortuary was located in what was to become the E.R. Butterworth building. 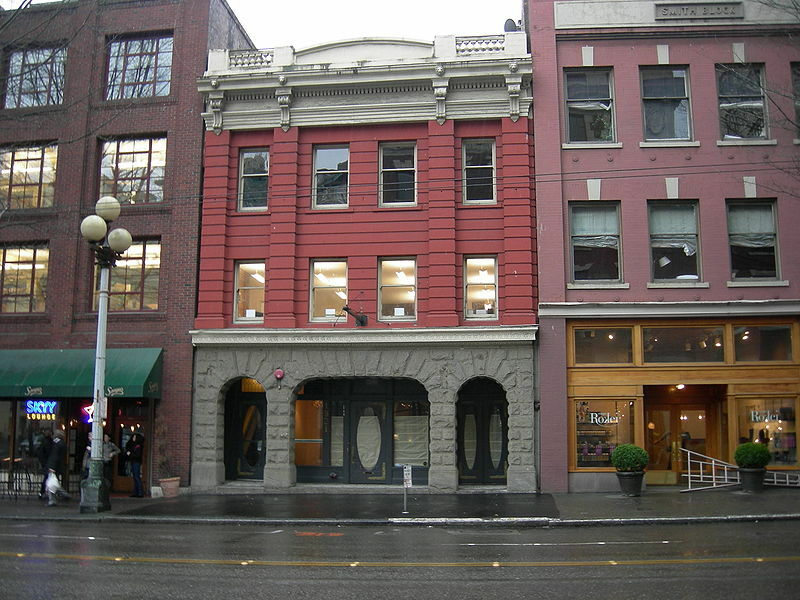 This building still stands today and Kells' Irish Pub occupies the basement where the mortuary once was. Not surprising this pub is considered haunted. 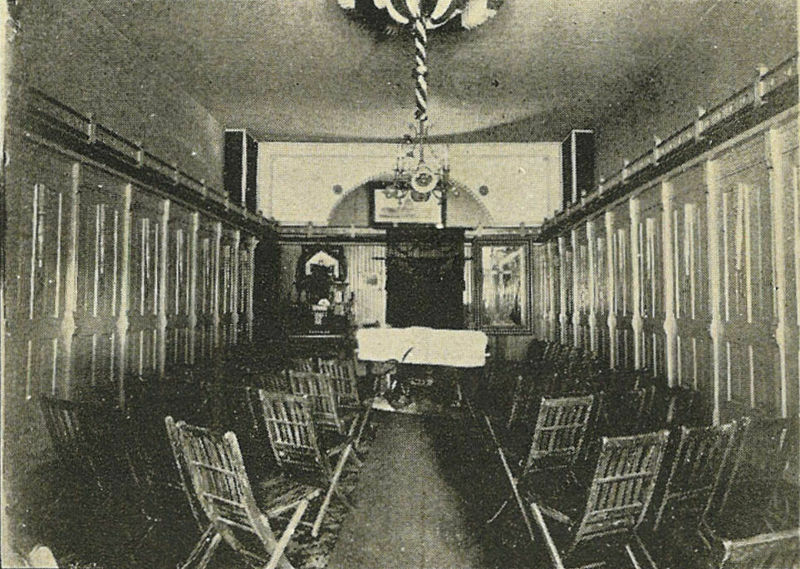 Butterworth mortuary provided a chapel, a crematorium, and a morgue where autopsies and embalmings were performed. Some feel this space is haunted today because of Butterworth’s unethical and corrupt practices. There were so many deaths in Seattle the bodies literally stacked up. To alleviate this problem the city paid it’s citizens $50 to bring the deceased to Butterworth’s mortuary. Butterworth collected half this amount and prepared these bodies for burial. It seems collecting these generous fees was not enough for Butterworth because he became greedier. He started to have people killed. At this point in history people did not concern themselves overly with the cause of death and the fact that Butterworth cremated these bodies destroying the evidence immediately allowed him to continue this practice for some time. Later, it was rumored that Butterworth had an accomplice. Hazzard was caught and convicted of murder for one such case. She served two years in prison and then moved to New Zealand with her husband where she continued to practice medicine. Butterfield’s handled the cremation of several of her former patients—hence the rumored connection. 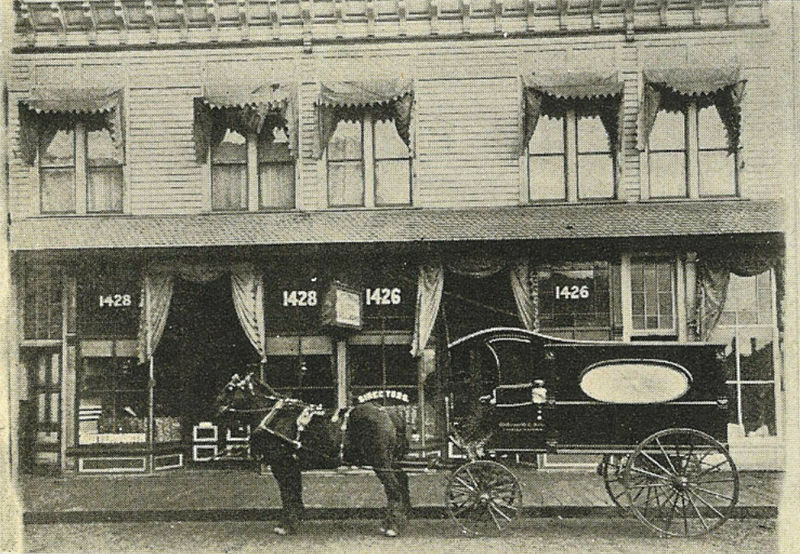 The Butterworth and Sons mortuary was in business from 1903 until 1923. When the owner and manager of Kells Irish Pub started renovating the building they quickly became aware something odd was going on. One workman that performed a demolition on an upper floor took pictures to show them the progress being made on the renovation. In one of these photos something unexpected appeared. This workman had captured a man who was deathly pale, with very dark gaping eyes. But what was most unusual was the man’s mouth was sewn shut with thread. At this point the owner looked into the history of the building. People at Kells' today feel that many of the souls of Butterworth’s victims are making their presence known. Glasses are pushed off the bar without apparent cause and dirty handprints are discovered on the windows after they are cleaned. The spirit of a little girl without legs is sometimes seen playing by an unused staircase. At one point a large wall mirror fell and broke in a room that was unoccupied. It oddly fell to the floor in neat, clean edged pieces. The activity in the pub seems to be most active in the month of November. It is believed this is because in November of 1918 Seattle residents were dying in droves from the Spanish influenza. People at the time wore surgical masks in order to avoid becoming ill.
* Two sisters, Claire and Dorothea Williamson were both victims of Dr. Hazzard. Claire had already been cremated at the time of Hazzard's trail but her sister Dorothea who died later was still skin and bone. The following link is a news story about the pub and it shows the photo that was taken by the workman on the demolition crew. The manager and the owner are interviewed. The television show Ghost Adventures with the Constantinos are highlighted as well. If you are a ghost hunter or investigator I recommend you read some books written by parapsychologists. A man who wrote two of my favorite books about ghost hunting is Loyd Auerbach. 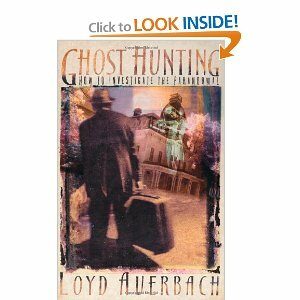 Auerbach has his masters in parapsychology and his book entitled Hauntings & Poltergeists: A Ghost Hunter’s Guide is one of my favorites. 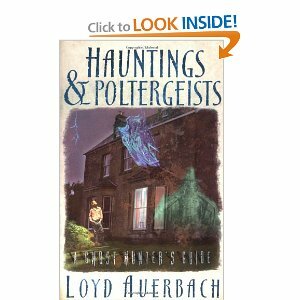 Instead of giving a laundry list here of what parapsychologists believe and how they use these beliefs to inform their scientific studies I will share a case that Auerbach participated in and how he determined if the activity being experienced was indeed what parapsychologists consider a real haunting. Having stated the above let me mention one thing I learned from Auerbach’s books that hadn’t occurred to me before. This item is obvious but often overlooked. Here is ammunition that can be used when dealing with skeptics who brush aside other’s belief in ghosts. Skeptics often state people who see ghosts are just experiencing a hallucination caused by an environmental magnetic field –so it is just their brains playing tricks on them. What skeptics don’t address in this scenario is that these supposed hallucinations often include historical facts that the witness had no prior knowledge of. For example, a person might be able to describe a ghost ship they witnessed from another era in detail—even though they have no prior knowledge of sailing ships through history. When I do investigations, I remember the following case conducted by Loyd Auerbach, which he considers as one of his favorites. This case involved a family that had moved into an older established home in Livermore, California. This family—a father, mother, a grandmother and a twelve-year-old son all saw an apparition. The family had not discussed this with each other until the mother found out that her son was talking to a ghost in the home on a regular basis. She discovered her son’s interactions with the ghost when one day he started telling her specific details about several of the antiques and dolls that had been left by the previous owner. The mother first felt her son must have gotten his hands on some papers or diaries hidden away in the home that had supplied him with this unusual information. When she ruled this possibility out she took her son to see a psychologist. This man reassured her that her son was happy, healthy and didn’t appear to have any emotional problems. The son told his family that this ghost was a female by the name of Lois and that she had lived in the home from when she was born in 1917 until her death in 1980. Wanting to learn more about what was going on the mother decided to contact JFK University where she was referred to Auerbach. He and two others drove to the home in Livermore to interview the family. Auerbach was impressed with the twelve-year-old son and his articulate descriptions of what was occurring. The family and team sat down in the living room where the son announced Lois was sitting with them. Auerbach asked if he would help them communicate with Lois. The team watched as this boy conveyed their questions to the ghost, listened and then gave them her answers. Auerbach asked why she was still there, Lois via the son told him that while alive she had been a socialite who often threw parties in the home. She stated that she had spent many happy years there. When Auerbach asked why she didn’t “move on,” Lois told him that she was afraid, for she believed in heaven and hell and since she had never been a churchgoer and lived a “party” lifestyle she was afraid she might end up in hell. Auerbach and his assistants asked specific questions about Lois’s life and her existence after death, in turn, they received specific answers. She told them about her life and that she still had one living relative. She gave them a specific description of herself –in the present—she described herself as a ball of energy and told them she communicated with the families’ son on a telepathic level. The son told them that he had seen her appear in various stages of her life—meaning on one occasion he had seen her as an old woman, on another, she had appeared as a young child of 6 or so and yet another time she had appeared as a woman in her thirties. The team was surprised because his description of her changing appearances fit into what parapsychologists believe which is ghosts depending on their mood often appear at various ages. Since the son had no knowledge of parapsychology, this information stunned the team. Another interesting fact was that this son was communicating with the ghost on a telepathic level. Parapsychologists believe since ghosts no longer have a human form they appear to the living in the form of a kind of hallucination and that they communicate with their minds. The son and his mom understood that they perceived a projection of Lois instead of actually seeing her. Amazingly, the son also understood that Lois was projecting her thoughts to him. It appears Lois had explained all of this to him. Auerbach asked if she would appear for them which she refused, she stated she didn’t quite trust them. She expressed a concern that they were there in order to make her leave. She asked if they had brought any ghost traps. The team, which included a woman and a male student, asked if Lois had any questions for them. Her response basically shocked them. Since she was afraid they meant to get rid of her-- she had ridden in the car with them when they left the university that morning to drive to the home. She had listened to their conversation in the car to discover their intentions. Auerbach had mentioned he wanted to buy a new car. Lois asked if he knew what color car he wanted. The woman had mentioned she wanted to quit her present job, Lois asked her if she knew what kind of new job she wanted. The male student had mentioned that he had been a dancer for ten years. This had surprised his two companions in the car because they didn’t know this part of his history. Lois asked this male student how long he had been a professional dancer. Auerbach spent time after this interview verifying the information Lois and the family had given him. He tracked down her one living relative and this man told him essentially the same history Lois had shared with him. He then talked to the psychologist, with the mother’s permission, this man confirmed his impression that this twelve-year-old was a normal, well adjusted young man who had no emotional issues. The multiple family witnesses, the fact that the son had information that he could not have gotten otherwise and the fact that the family were not afraid but instead curious led Auerbach to conclude that this haunting was real. This case highlights information that the ghost hunter can use. First, the fact that ghosts communicate with their minds and secondly that they can appear or project themselves at various ages. It is interesting that parapsychologists view what the living see as ghosts are actually in their mind's eye and not physically there—even though it seems as if they are. 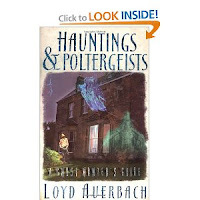 Here is a recent bio about Loyd Auerbach. On an overcast morning in May of 1906, Miles Fuller, feeble, frightened and wearing his old tattered hat was led outside of the Butte, Montana county courthouse jail and hanged. 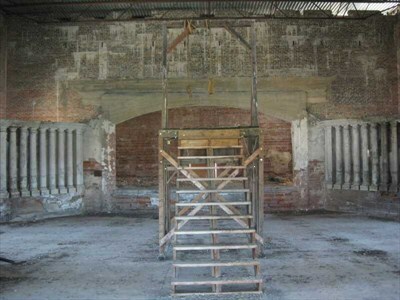 * Hundreds of locals, without invitations, climbed the rooftop and walls trying to get a better view of the “galloping gallows” ** that had been reassembled in the yard behind the courthouse. This execution was the fastest one in Montana history it took only two minutes from when Fuller entered the yard to when he was pronounced dead. As Fuller’s casket was placed on the funeral wagon a loud clap of thunder startled the crowd, it is said that this clap was the only one heard that day. Many folks considered it an evil portent. After his execution no one would volunteer to carry the coffin to the waiting wagon. At the time there was a superstition about performing such a task for a condemned man. Finally, two ministers, two city officials and two newspaper reporters volunteered. Miles Fuller had been found guilty of the grisly murder of Henry Gallahan one of his fellow prospectors. These two men had been sworn enemies for a long time. During his trail Fuller claimed that Gallahan laced his flour with powered glass and his sugar with strychnine but other witnesses testified it was the other way around. Fuller stated that the longstanding quarrel between him and Gallahan had started when he had stopped the other prospector from molesting a child. But it appears no one believed him for Fuller was a hermit with a surly disposition who was always armed with a wicked-looking knife. The locals openly admitted they were afraid of him. Gallahan’s brutalized remains had been found in a brickyard behind the Mckinley school. He had been shot in the head and his throat had been slashed from ear to ear. Fuller never admitted his guilt. In fact, he went to his execution stating he was innocence. Because of this some accounts of his death still claim he was wrongly accused. Regardless of his guilt or innocence soon after his death his ghost started to appear at the Butte, Montana courthouse, jail and jail yard. The primary witness to this haunting was a deputy sheriff, Tom Mulcahy who had witnessed Fuller’s execution. He reported several strange occurrences. Mulcahy had kept three souvenirs from the hanging— an invitation to the event, a piece of the hood that was placed over Fuller’s head and a section of the hangman’s rope. He came to the conclusion that Fuller’s ghost appeared to be drawn to these items. Mulcahy like many sheriffs over the years bunked in a room in the county jail. His bedroom’s window was on the ground floor and looked out over the jail yard were Fuller was hanged. The galloping gallows had stood just thirty feet from this window. Mulcahy kept his souvenirs in a scrape book, which he placed in a chest of drawers near his bed. He awoke several times to see a ghostly form coming through this window. Mulcahy described this ghost as being surrounded by a foggy, dim light. He stated it would always head to the chest of drawers where he kept his souvenirs. When he would turn on the light the ghost would then just vanish out the window. After several similar incidents Mulcahy decided to take his scrape book and place it under his pillow. One night he awoke when he felt something tugging at the scrape book beneath his head. The roommate who bunked with Mulcahy had his own encounter with this ghost. After he fell asleep one night he was awakened when something grabbed his neck. He then saw what appeared to be a cloth and rope dangling over his face. At the time of this incident he did not know about Mulcahy’s souvenirs. When the two deputies encountered skepticism about what had happened—Mulchary offered his bed as proof to anyone who wanted to sleep in it. No one volunteered. Yet another witness to Fuller’s ghost was a janitor that worked for the county. One night as he was in the jail yard where Fuller was hanged he spotted a shadow in the exact spot where the scaffold had stood. Knowing the yard was locked he ran to investigate who might be there but after a thorough search he discovered no one. Since, Fuller's ghost has been seen in the basement of the courthouse near the storage room where the heavy boards for the “galloping gallows” are still kept. In the over 100 years since Fuller’s execution countless others have reported seeing his ghost. Many witnesses years later—and not knowing anything about Fuller or his appearance-- have described his ghost with specific details. He still appears the way he looked the morning of his execution--with a grizzled beard and wearing a tattered hat. There is also a second ghost who haunts the courthouse—this man was a deputy at the same time as Mulcahy--but I will share his tragic story in another post. 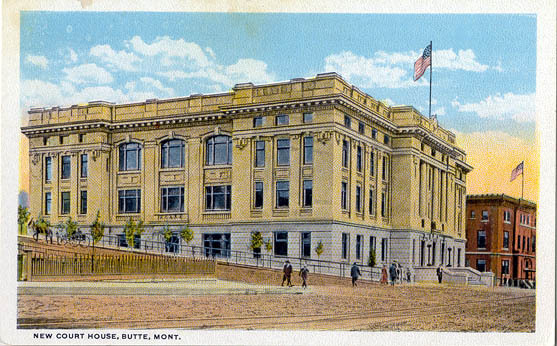 ** Today a newer courthouse stands on the same location on Granite Street, it is called Butte Silver Bow County Courthouse, construction on this more elaborate modern structure started just one year after Fuller’s execution. ** “Galloping gallows” got its name because its’ heavy boards could be broken down into pieces and transported to other counties to be reassembled for hangings where needed. These gallows have no trap door in which the condemned fell –rather this method was to loose a 350 pound weight, jerking the unfortunate victim into the air. The rope used was ordered from Chicago which was tied into a regulation noose--with the required nine wraps and proper knot. The following story is considered a first person account told by a very reliable witness. Therefore it is considered a true tale with just a legend tacked on to make the ghost more interesting. Stories about ghosts connected to trains I find especially fascinating. I guess this is because trains in a bygone era were the ultimate way to travel. 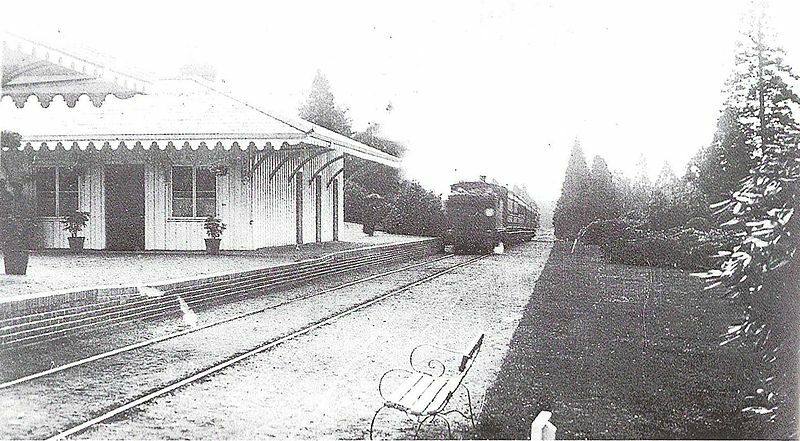 The mysterious ghost this tale focuses upon was seen on a train in 1936. Lord Halifax wrote a book about ghosts in the 1930’s. In this collection he included a story that happened to a friend of his. This man, Colonial Ewart was a stuffy sort who did not believe in ghosts. Heading to London he arrived late to the Carlisle station hoping to find an empty compartment. The colonial did not like sharing his space with strangers. The train was crowded but he was in luck for he spotted one compartment that was still empty. Making himself comfortable he slipped off his boots and coat. He settled in to read the Times but with the trains soft motion and the warmth in the compartment he found himself dozing off. Later when he awoke he found a woman sitting opposite from him, she wore a veil and was dressed in black. Embarrassed, he apologized for his untidy appearance but his travel companion did not respond. She sat as if holding a baby, rocking and humming a lullaby to her empty arms. Suddenly, there was a screech of wheels and the train came to an abrupt halt. Colonial Ewart was thrown violently forward and then back. Within moments he was knocked unconscious by a falling suitcase. Slowly, he awoke rubbing his bruised head. He left the compartment to check on the condition of the train. Things were chaotic in the forward carriages but fortunately it appeared no one was hurt. Remembering the mysterious woman he headed back to his own compartment to check on her. But he found no one inside. Concerned he tracked down a train conductor to give the woman’s description. This rail man to his surprise laughed and stated, “So it happened again.” Spotting the Colonial’s ire the man calmly explained his reaction. He told Ewart she was a well-known ghost passenger and he should not concern himself. It seems this woman and her husband newly married had departed on this train from the Carlisle station. They were headed to their honeymoon destination when the husband leaned too far out the of the compartment window and was decapitated by a wire. His head fell into his young bride’s lap. 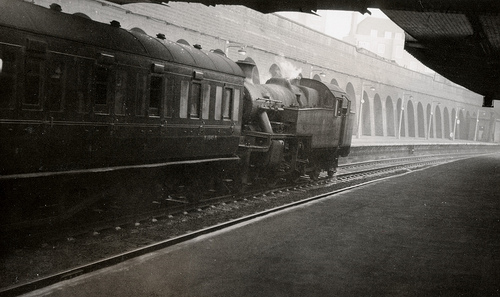 When the train arrived in London she was found later still sitting in the compartment. It appeared she had lost her mind, for she was cradling her husband’s head in her arms like it was a baby.